Lover her or hate her, Joan Rivers is funny. She has become the self proclaimed poster child for cosmetic surgery and is the brunt of many jokes, but old Joanie actually looks pretty good these days. Anyhow…..every day I do numerous consults and people have to decide how to budget get their cosmetic surgery around other expenses. I came across a Joan Rivers quote which is of her typical humor. Wish it was that simple, but Joan has a way of putting things. Fat Transfer: taking it from where you don’t want it and putting it where you do. Fat is a natural and predictable filler that has been used for a century to increase volume, fill voids, and plump wrinkles. Some of the main advantages of using fat include the fact that it is a natural filler, since it is harvested from the patient, there is no allergic issue, it is easy to harvest and the average patient has plentiful reserves. Fat transfer is also referred to as “Fat Injection” or “lipo transfer” and is a popular cosmetic surgery procedure. The basic premise of fat transfer is to harvest fat cells from the patient (from an area where they don’t need it) and inject it into an area on the patient’s body where they do need it. Common areas of fat harvest include the area around the belly button, the flank region “love handles”, the outer thigh and the buttocks. Fat harvest is a simple procedure that is usually performed with local and tumescent anesthesia. A dilute solution of lidocaine (anesthetic) and epinephrine (decreases bleeding) is injected into the site of the anticipated fat harvest. After waiting about 15 minutes for the tumescent anesthesia to take effect, the fat is harvested with a device called a cannula, which is a narrow hollow rod with a suction source. Depending upon the amount of fat needed, 10 to 100 cc’s are removed. After the fat is harvested it is processed. This may include separating the fat from the other tissue by products by using a device called a centrifuge which spins the “good” (live) fat from the other cells. Some surgeons feel that rejuvenating cells known as “stem cells” are included with the live fat cells. Many surgeons do not centrifuge the fat, but process it by draining, washing and rinsing. 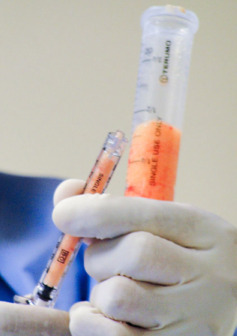 Regardless of the processing, the live harvested fat cells are placed in smaller syringes for the transfer process. 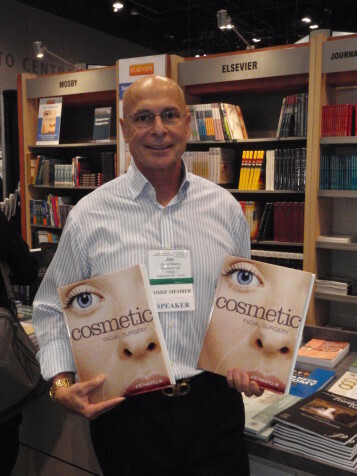 The harvested fat in the small syringes is injected with tiny blunt needles called micro cannulas. A small puncture is made in the skin with a needle and the small, blunt cannula is placed under the skin and the small amounts fat in the syringe are injected. The technique of the fat injection is paramount to the success of the procedure. If large amounts of fat are injected in a single area, the body will attempt to dissolve it. If very small “grains” of fat are injected into multiple tissue planes (over bone, in muscle, in other fat and under the skin) the body does not dissolve the fat as rapidly. Performing multi level, small volume fat injection allows the many of the transplanted fat cells to survive and the augmentation to become permanent. Fat can be used as a filler in just about any part of the body. Fat is most commonly injected in the face to increase youthful volume. This includes the temples, regions around the eyes, the cheeks, the jawline, smile lines ,frown lines and lips. Fat can also be used to inject under the skin of the back of the hands for rejuvenation of the skeletonized appearance of aging. Some surgeons use fat to augment the breasts, buttocks and calf’s or to fill in defects from trauma or surgery. What Type of Maintenance is Required with Fat Transfer? Some transplanted fat cells will live forever and produce a permanent augmentation. This is not true for all the transplanted cells and many of them will be dissolved by the body. For this reason “touch up” fat transfer treatments may be necessary. Some surgeons will recommend 2-3 touch up procedures to obtain a “permanent” result and this may also require some touch up transfer injections every several years. For touch up injections, some surgeons will reharvest more fresh fat for each procedure, while other surgeons will freeze extra fat at the first harvest appointment and thaw out this fat at each touch up appointment. Liposuction is one of the most common cosmetic surgery procedures and has become much easier over the past 20 years. Unlike body liposuction where large volumes of fat may be removed , the procedure is much more conservative in the head and neck. Most patients do not have large areas of fat in the head and neck and therefore much less fat is removed. Where quarts of fat may be removed from the body, the amount of fat removed in the head and neck is measured in “tablespoons”. The main areas in the head and neck for fat deposition are the jowls, the area under the chin, and the neck. Figure 1. shows common areas of fat deposition in the facial region. The most common misconception about neck liposuction is that it will tighten lose neck skin. Many patients present for the consult and have a large “turkey gobbler” area of excess skin. 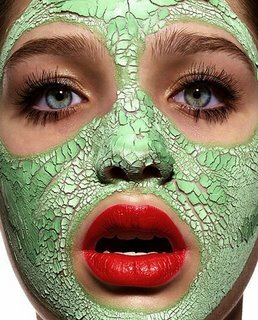 Even if there is fat under the lose skin, removing the fat will only serve to accentuate the lose skin and make it look worse. The bottom line is that if a patient has excess skin under the chin and neck, they will need a facelift to correct this. 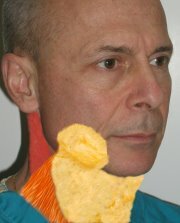 Having said this, liposuction of the neck and chin (submental region) can be very effective in the proper patient. This is usually a younger patient with fat deposits under the chin and without significant excess skin. In these patients, removing some of the excess fat by conservative liposuction can make a huge difference in the patient’s profile. The younger the patient is, the more the skin will tighten up after removing fat, as there actually is some degree of skin tightening in most patients. 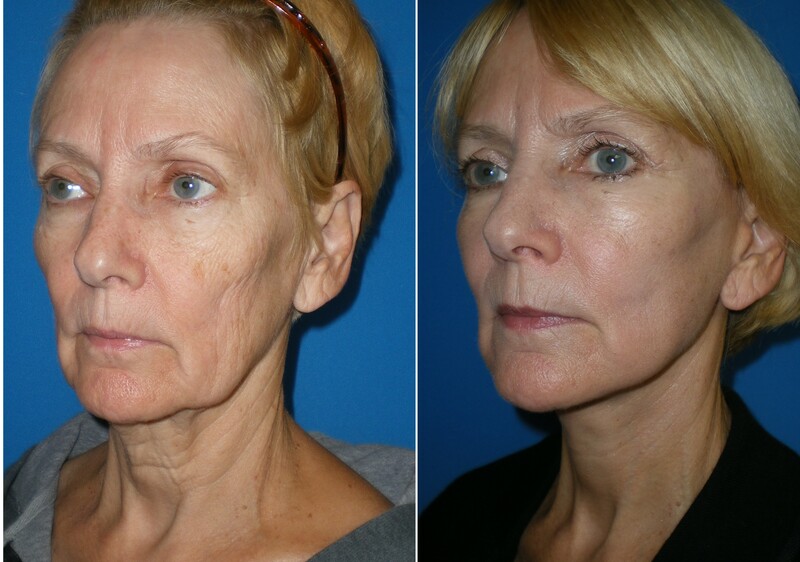 The jowls, cheeks (to a lesser extent) and neck can also respond to liposuction. It is important to remember that liposuction is not treatment for obesity but rather for genetic fat deposits that are resistant to generalized weight loss. Head and neck liposuction can be performed with local anesthesia or with IV sedation. The area is sanitized and a dilute solution (tumescent anesthesia) of local anesthesia and epinephrine is used to inflate the tissues to be liposuctioned. This tumescent solution not only numbs the area but also decreases bleeding and facilitates the actual liposuction procedure. A tiny puncture is made in a skin crease to hide any scar, and the liposuction cannula (a thin metal, straw-like instrument) is inserted under the skin . The cannula is briskly moved back and forth through the excess fat and the fat is emulsified into a liquid that is suctioned out. It is important not to over treat an area because removing too much fat (especially in the neck and under the chin) can cause very visible irregularities under the skin. The treated area will usually stay numb for several hours after the procedure, so pain is not a common problem. After the procedure the patient is given a compression dressing (Jaw Bra) to wear for several days. Depending upon the amount of fat removed and the amount of excess skin the dressing may be worn for 5 days continuously and at night for the next week. For most patients, this type of liposuction is a weekend recovery unless they bruise, which extends the recovery from a cosmetic standpoint. Figure 2 shows a patient treated with liposuction only of the chin and neck regions. All humans have walnut sized collections of facial fat called the Buccal Fat Pads that lie in the cheek. In patients that desire to have their face “slimmed” the buccal fat pads can be reduced at the same time (or in place of) the liposuction. This is done by making a small incision inside the mouth, next to the wisdom teeth and the fat pad is teased out of its position and conservatively reduced. Another means of dramatically complimenting the liposuction procedure is to place a chin implant in the appropriate patient. 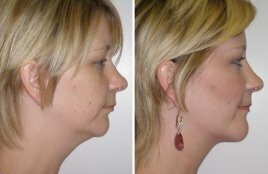 Many patients with submental fat also have a retrusive profile from a weak chin. By removing some of the chin and neck fat with liposuction and simultaneously placing a chin implant, the result is made better than doing either procedure by itself. The chin implant can be placed from the inside of the lower lip so no surgical scar is visible. The recovery for chin implant surgery is about one week. 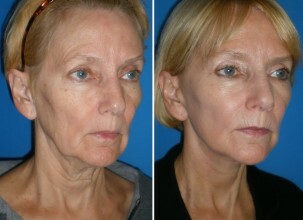 Figure 3 shows a patient treated with liposuction and a simultaneous chin implant. I am a lucky person because I love my job! 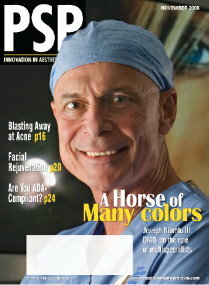 Cosmetic facial surgery is not only my profession, it is my passion! One of my favorite procedures is otoplasty (surgically repositioning the ears). For one reason, this is the only purely cosmetic surgery that is performed on children. Second of all, it is a unique procedure that is not easily learned and is very rewarding because it makes a difference in the life of a child. Having two special needs children myself, I can certainly appreciate the pain that children receive from peer ridicule and teasing. Actually, it has been shown that teasing by peers can affect a child’s self esteem for the rest of their life. We all know how grade school kids are, they will tease each other about any minor difference. Children with protruding ears are easy targets from intentional teasing by classmates and unintentional attention from adults. 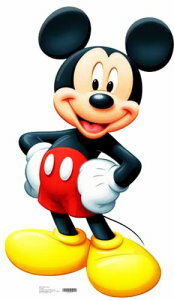 No child likes to be teased or ridiculed about any physical deformity and protruding ears simply brings out the jokes. Frequently children will come to their parents with the request to have corrective ear surgery and sometimes they are naive to the situation and the parents must be proactive. Let me clairify that there are probably thousands of children who grow up happy and healthy and into adulthood without ever having their protruding ears corrected. This (like all cosmetic surgery decisions) is a personal family decision. I have seen kids that wanted the surgery and the parents did not and the opposite. Again, it is a personal decision. Most kids don’t want braces either, but their parents make them aware of future appreciation and it’s a significant motivator. The reason we prefer to correct these deformities early is to avoid peer teasing. The ear is more than 80% developed by 5 years of age and usually fully grown by 7 years of age, so we prefer to perform this surgery before the child starts school. This is not to say that we never treat this later as I have done many teens and adults. Sometimes the time is not right until the time is right. I have performed this surgery pro bono for hardship cases and continue to do so as I am always willing to assist a child in need. Not all protruding ears are the same. Most cases (with the exception of severe deformities) can be divided into three classifications. The above image shows a protruding ear from excess cartilage behind the ear. The above picture shows a protruding resulting from incorrect anatomy on the face side of the ear. Normally there is a natural fold of the cartilage (antihelical fold). In the the above deformity, there is a lack of the antihelical fold which causes the ear to protrude. The left picture shows the protruding ear without a fold and the right sided picture shows the new fold recreated and the ear in normal position. Problems with excess cartilage are common and usually heriditary. In this situation the patient has excess cartilage behind the ear and this caused the ear to sit out in a more prominet position from the average. This is treated in numerous ways, but I prefer an operation called a Davis Procedure. While some surgeons merely stitch the protruing cartilage back to bend it, my experience (and that of many other surgeons) is that when cartilage and sutures fight, the cartilage will win! In other words, the elastic cartilage can frequently pull throught the sutures causing the corrected ear to relapse back into a protruding position. This cannot happen with the Davis procedure as it addresses the real problem by removing a small wedge of excess cartilage from a hidden incision behind the ear. The above image shows how a small wedge of cartilage is removed from behind the ear to allow the ear to set back in a more normal position. Problems with an abnormal cartilage fold allow the ear to stick out similar to the inside of a sattelite dish. Because there is no fold, the ear protrudes. By placing special sutures and slicing the cartilage of the fold, the fold can be reshapped into a normal position. This is called a Mustarde procedure, named after a french surgeon. As stated earlier, some patients need excess cartilage removed while others need the normal fold recreated. Many times, protruding ears are a result of both problems, in which case I perform both a Davis and Mustarde procedure simultaneously. Either (or both) of these procedures can be performed with local anesthesia, but it is much more comfortable to use a light sedation, especially for young ones. The Davis procedure is made by making a hidden incision behind the ear and a kidney shaped piece of cartilage is removed and the ear is allowed to relax into a normal position. With the Mustarde procedure, the same hidden incision is used and the area where the new fold will be created is weakened by slicing small groves into the cartilage. Then, specialized, permanent sutures are used to form the new fold and it grows back into a permanent position. It is important for the surgeon to make the correct diagnosis as well as to perform the proper operation (or combination of procedures) to get a natural and lasting result. After surgery, the patient wears a head bandage overnight. Young children do extremely well with this type of surgery and have very little down time. In fact, they have so little recovery it is hard to keep them from overactivity. Most kids (or adults) are back to their normal routines in a few days although the healing takes several weeks to mend. It is important to refrain from swimming or activities that may pull on the ear for the first week. Activities that require rough contact should be put off for at least a month. We prefer the patient to wear a headband or stocking cap for the first 5 days and then at night for another 5 days. This keeps the ears pressed back and also serves as a reminder for the patient to take it easy on the ears. Generally te scars are not noticable after several months. Complications are rare and include bleeding, infection and relapse (the ears sticking out again). All of these are rare. In addition over correcting the ear is noticable, so the surgeon must be very precise and accurate. 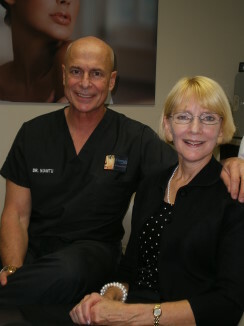 The above images show several patients that have undergone corrective ear surgery by Dr. Niamtu, cosmetic facial surgery in Richmond, Virginia.